The Election Commission had recommended disqualification of 20 AAP lawmakers because they had been appointed as parliamentary secretaries by the Delhi government in 2015. Election Commission said the 20 lawmakers got "ample opportunity"
The Election Commission was not bound to call Aam Aadmi Party, or AAP, lawmakers for an oral hearing before recommending their disqualification to President Ram Nath Kovind, the election body has told the Delhi High Court in an affidavit filed on Saturday. The commission said the 20 lawmakers disqualified in an office of profit case had been given "ample opportunity to come and participate in several hearings" earlier but the lawmakers "gave only illusionary responses". Eight of them had last month approached the Delhi High Court which ordered the election commission not to start the process to hold by-elections for these 20 assembly seats till the court gives its ruling on the petitions. The high court will next take up the petition on Wednesday, February 7. The Election Commission had recommended disqualification of 20 AAP lawmakers because they had been appointed as parliamentary secretaries by the Delhi government in 2015. The high court had set aside the appointment next year but this did save the legislators from disqualification. The Election Commission told the President on 19 January that they should be disqualified because they had violated the office of profit provision under which lawmakers cannot hold any post in the government that entitles them to perks or powers. The recommendation had triggered vehement protests from AAP, which also renewed its attack on then Chief Election Commissioner AK Joti, calling the recommendation his "parting gift to PM Modi". AAP promptly went to the high court but the Election Commission's lawyer told the court that he could not confirm the existence of the recommendation. The case was put off to the next week. Before this case could be taken up, the President disqualified the 20 lawmakers. 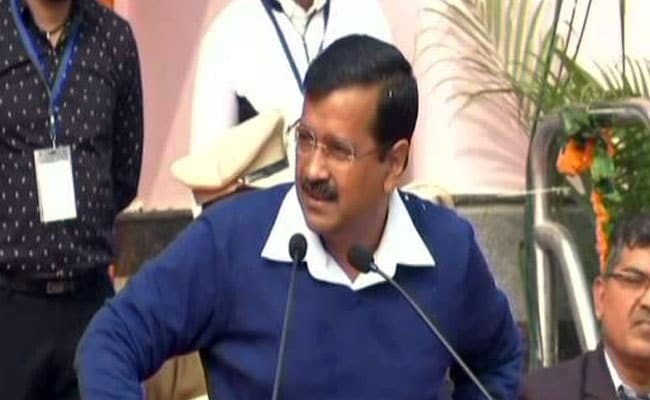 Chief Minister Arvind Kejriwal-led AAP's key argument against the Election Commission's opinion in the high court and elsewhere has been that the 20 lawmakers had not been heard in person, denying them an opportunity to defend themselves. In its counter affidavit, the Election Commission contested this stand, insisting that the petition deserved to be dismissed. The commission cited its notice sent to the lawmakers on 2 November 2017 that had made it clear that this was their "last and final" chance to file their written submissions. The commission, the affidavit said, would have called for an oral hearing if the written submissions of the lawmakers indicated it was relying on any new facts which require an oral hearing. But the petitioners not only "filed illusory responses raising extraneous grounds of availability of quorum" but also demanded that the poll body should not to proceed with the case because a petition challenging its earlier ruling was pending before the high court. "The present case is not a case of no opportunity, rather it's a case where sufficient opportunity was evidently granted to the MLAs to present their case," the commission's affidavit filed by lawyer Amit Sharma said. It is evident, the commission said, that it had duly adhered to the principles of natural justice but the AAP lawmakers "wilfully and deliberately" abstained from participating in the proceedings. Citing the legal principle that petitioners who seek equitable relief "must come with clean hands", the commission said the AAP lawmakers had "themselves been at fault". On Election Commissioner OP Rawat initially recusing himself from the case and then returning to decide the case, the commission said Mr Rawat had earlier stepped back because the Chief Minister had questioned his independence. But when he did not produce any evidence to back up his charge, the election commission affidavit said it "became evident" that the allegations were made with malice, completely baseless and substantiated. The commission said Mr Rawat's continued recusal from the case would also have started "a wrong practice" and lay down "a wrong precedent". Besides, it said, the AAP lawmakers had never demanded his recusal in the first place.